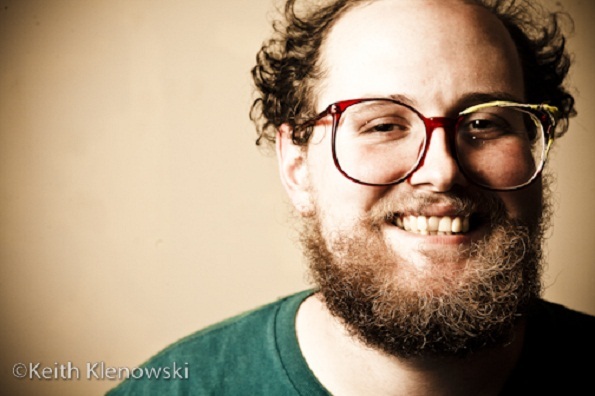 If you’ve ever been lucky enough to catch Dan Deacon live, you’ll know that it’s commonplace for the jolly 30-year-old to transmute a generic set stage into a frenetic circus ring. Deacon’s latest video “True Thrush” (off his upcoming album America) carries out much like a Dan Deacon live performance would. It’s an animated take on the popular elementary school game “telephone” and as you might expect, it’s participant-based. Deacon and friend Ben O’Brien filmed a brief skit which was then shown to a second group, the goal being to recreate the initial scene from memory. The second pair’s take on the first skit was in turn shown to another duo, and so on. While most of us recognize the game as an interactive version of “telephone,” according to a press release, it’s also based on a popular drawing game in Wham City, the Baltimore Art Collective which serves as home base for Deacon and his video participants. While “True Thrush” can stand alone as an excellent single, you’ll get the most joy out of trying to remember the colorful DIY decorations and observing the 5 minute distortion of detail.